Tag Archives for " dogs "
I've hesitated to blog about my school readings because of the children's identities on the web. 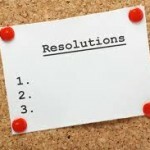 But, I've been very careful that ALL photos either don't show any kids or show their backs, never their faces. 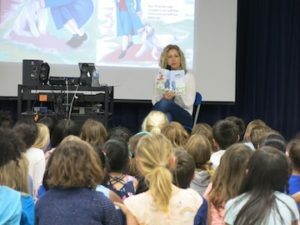 I'd also LOVE to do more school readings and hope this post will reach schools that may be interested in an author coming to their school for FREE to read to their Kindergarten through 2nd grades. 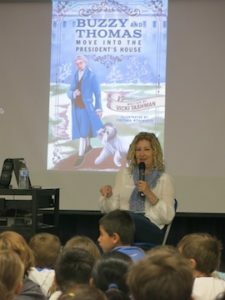 In celebration of Thomas Jefferson's 275th birthday, I did a school reading to 1st graders in Calabasas. It was the first time I wasn't in the classroom itself. Instead, I did the school reading in their assembly hall with the large screen behind me so all the kids could see the illustrations. 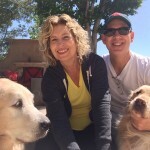 As always, I introduce myself and ask the kids who have pets? Most hands shoot in the air but I then qualify my question with, “Who has a pet snake?” or “Who has a pet squirrel?” There can be a few who actually have a pet snake and typically the name is “slinky” or “slimey.” That always gets a big laugh. 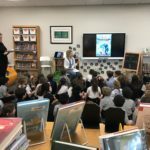 Then, I talk about the difference between fiction and nonfiction and introduce historical fiction. 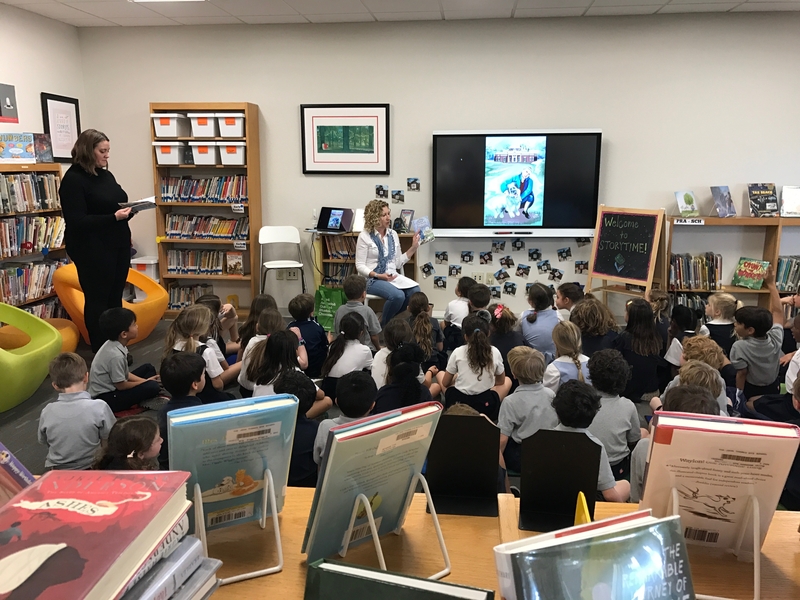 At this age, the kids are learning about fiction and nonfiction, but when I explain what historical fiction is, their eyes get big with curiosity. I ask them if they've ever heard of Thomas Jefferson. Some of the 2nd graders have heard of him, but most of the younger kids haven't. They know who George Washington and Abraham Lincoln are, but have never heard of Jefferson. I tell them that all the characters in my story once lived, albeit 200 years ago, and that I made up a story about real people, places and things. Now, I've got them! Because the book is in a 6×9″ format, reading to a group is hard without the use of a smart board or projector screen. The kids sit in front of me, my back is to the screen, so they can see the board and view each page of the book enlarged to almost life size. It also gives me a chance to see the kids, watch what they're reacting to, laughing or concerned. I've received thank you notes from the kids and teachers a like. If your school is interested in having me come for a FREE reading, please use the contact me form. Have you ever heard your favorite author do a reading? Let me know in the comments. I took the plunge today! 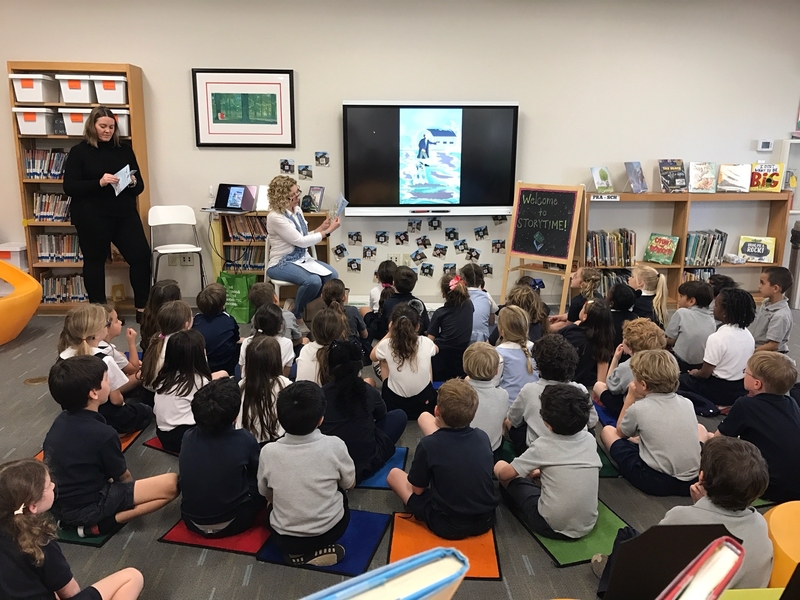 I had my very first school visit and reading! It's so important to connect with the kids that are the readers of my book so I needed to schedule some school visits and readings. 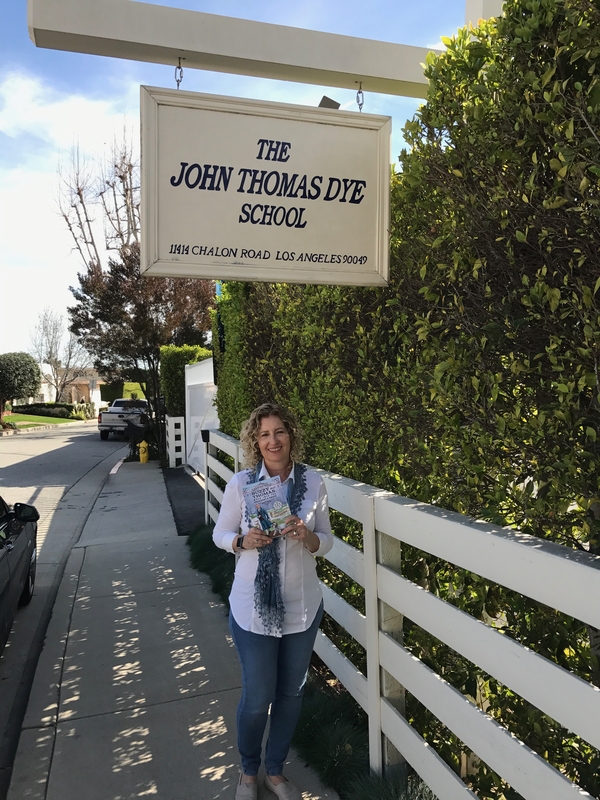 It happened to be at the elementary school my children attended many many years ago. I couldn't believe was there and that my kids have been long gone. Most of their teachers have left or retired so I didn't know as many educators as I thought I would. The school had gone through major changes as they built new buildings for classrooms, administration and parking. They expanded the library too! 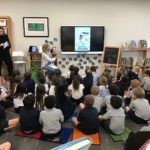 I was nervous as 50 first graders came into the library. They grabbed their mats and sat on the floor in front of me. On the screen was the first illustration in the book, Thomas Jefferson petting Buzzy on the grass. A couple of the students said they had read my book. Although I doubted that was true, it still made me feel good! Their innocent faces looked at me waiting for me to begin. I introduced myself and told them that my own kids had gone to their school. I told them that my son just graduated college and my daughter is about to graduate from law school. “What's law school?” one of the students asked. Then I asked them if they knew the difference between fiction and non-fiction. Most of them did. 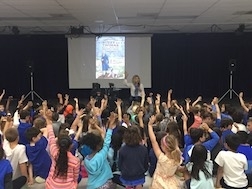 I asked, “Who likes History?” All hands shot up so I continued to explain how this book is “historical fiction.” I can take real people, places and times and make up a story about them. As long as I stick to some facts. I asked who had a pet and, again, all hands shot up. One student had a frog, one had some fish, and one even had a shrimp! Hmmm. As I read the book, I noticed all eyes on the screen and me. They were entranced and engaged in the story. My worst fear went out the window! After the 1st graders left, the Kindergarten class came in. This was 1 class with about 15 students. They were just as inquisitive and attentive as the first group. 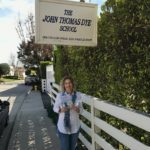 I'm trying to set up more readings throughout Southern California. In March, I'm visiting the Chicago area and will be doing some readings there. Stay tuned for a contest I'll be running in March! I’ve been waiting for reviews and now Buzzy has received 5 stars! I've been very busy sending out print copies and download links to various reviewers. I'm getting new reviews every day, but last night (maybe it was a New Year's Eve present), I received an email from ReadersFavorite.com that my review was ready. How fabulous is this review! But, best of all, I'm now able to download a special 5 star seal from ReadersFavorite.com! So here it is, placed on the cover of my book. I have some other reviews on Amazon as well. If you like the book, please write a review on Amazon, ReadersFavorite.com and Goodreads. Thanks! 3 Days to the Buzzy Launch! 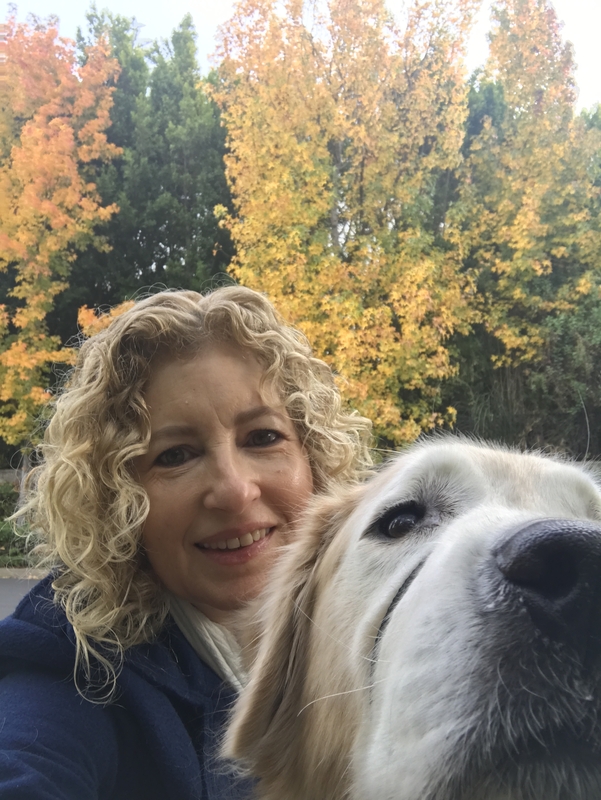 I decided to take a walk with the dogs this morning. I've got a lot to think about with the Buzzy launch happening on Friday. 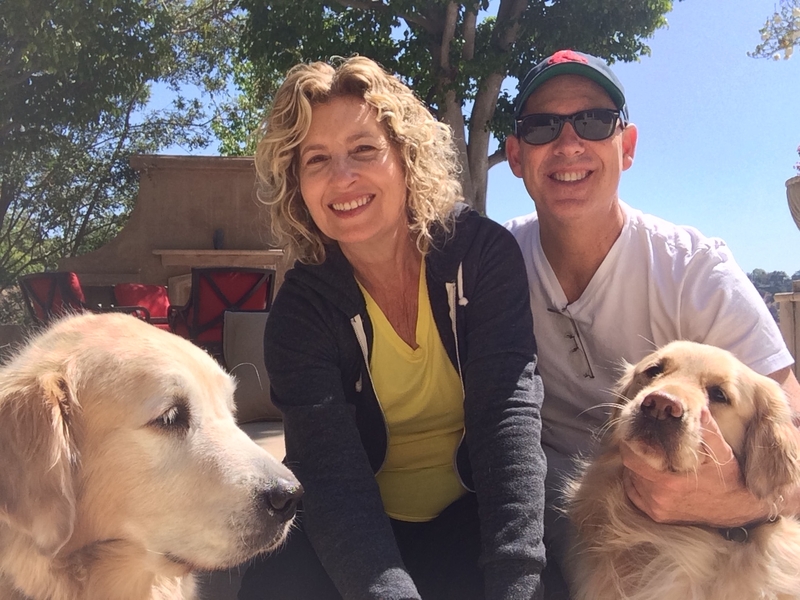 It was a crisp December morning in Los Angeles and my dog, Georgia wasn't being very cooperative in the photo. 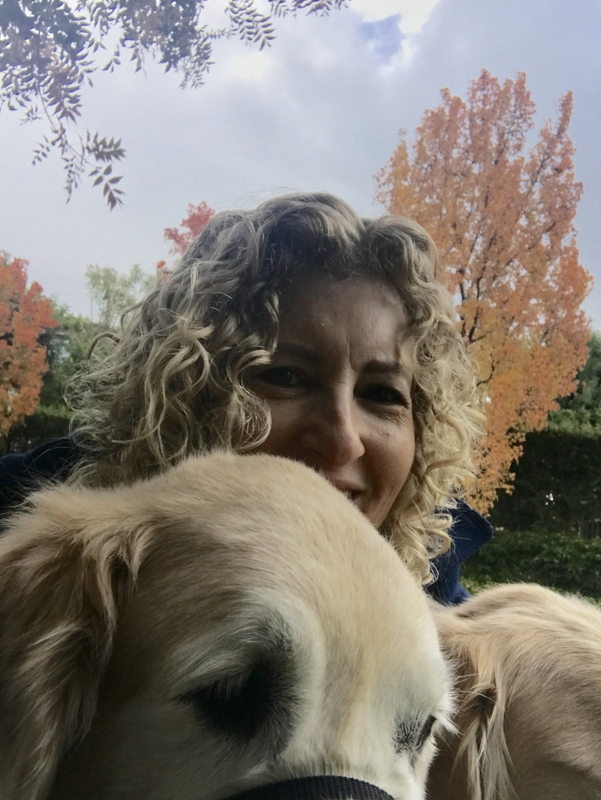 So, here's Ricky and I with our limited fall foliage. Back to the book. The Amazon Kindle version is available now and the print version will be available on Amazon on Friday. The print version is also available for book stores and libraries to purchase through Ingram Spark, a print on demand service that most traditional publishers use for their print material. And now onto the HARD part, marketing! My next step is to get reviews written by qualified children's book reviewers. If you know someone, please pass on my information to them. But I'm ordering about 100 copies of the book so give to reviewers and donate to schools and libraries around my home. Watch for my next update soon! 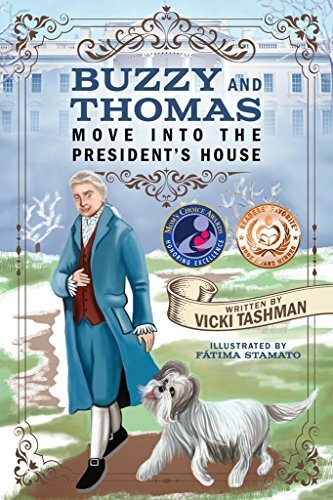 We know you're going to LOVE Buzzy and Thomas as they move into the President's House. If you would like to download Buzzy and Dickie coloring pages, please join our mailing list. 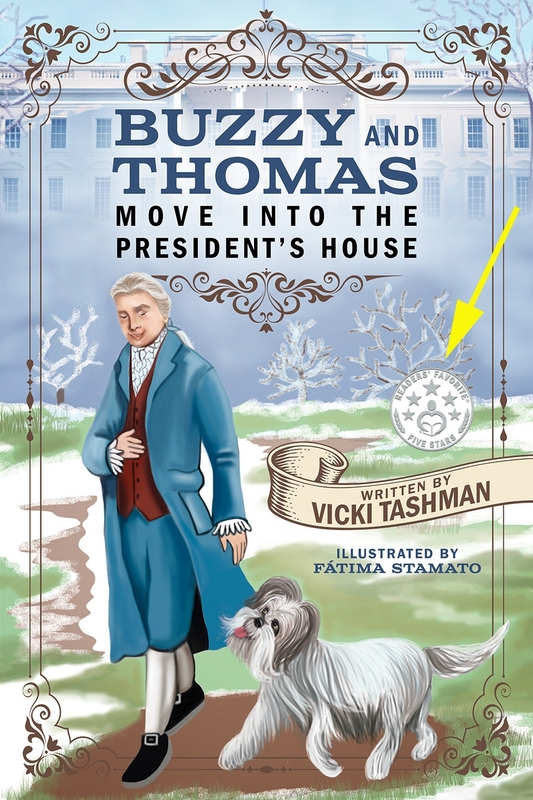 My first book, “Buzzy and Thomas Move into the President’s House,” will come out in October on Amazon in ebook and printed form. 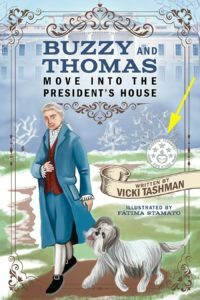 This early chapter reader is about Buzzy, Thomas Jefferson’s dog, moving into the White House with newly elected President Jefferson. But Buzzy loves living at Monticello and doesn’t want to move. What will she do? To continue my research on Thomas Jefferson, I took a trip to Monticello. 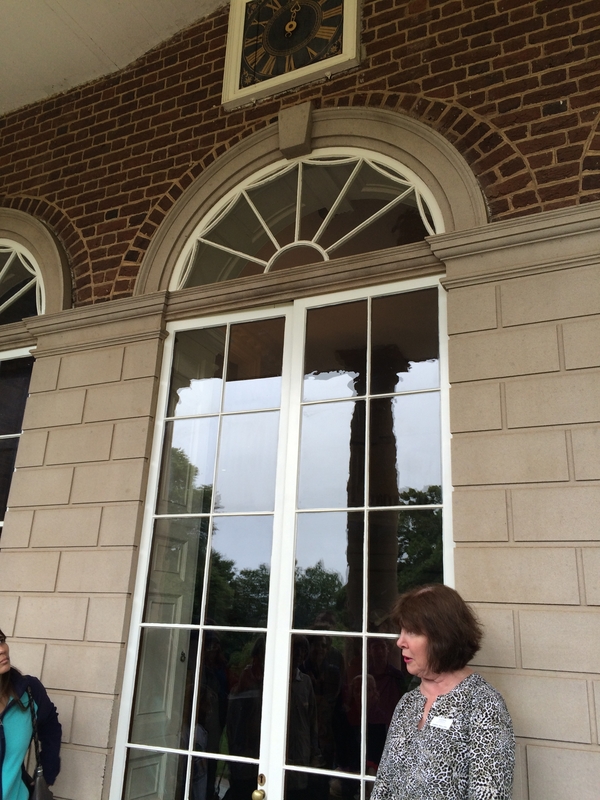 My docent led tour started at the Northeast portico, which then and today serves as the front door. Directly above the door is the “Great Clock.” The clock has a dual face, one on the outside of the door and another on the inside of the door. It also tracks the days of the week and was wound every Sunday. Mr. Jefferson designed this clock to serve the residents of the house and the workers in the field. 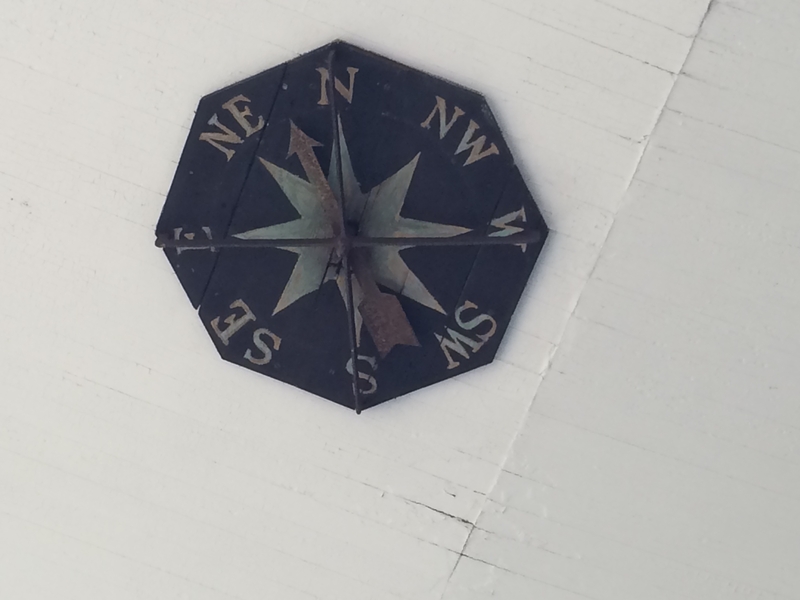 Still standing under the portico, I looked above me and saw the “Compass Rose”, a compass connected to the weather vane on the roof. Mr. Jefferson and his family could determine the wind direction without stepping outside! This was altogether different because they didn’t have cell phones to tell them the weather! We were not allowed to take photos inside the house but I’d like to tell you about a couple of things that stood out for me. In the dining room, Jefferson had installed a revolving serving door, which connected to the stairs leading to the kitchen. The servants could place plated dishes on the shelves and turn the door into the dining room where Jefferson or another servant could grab the plates to serve. When no servants were present inside the dining room, Jefferson had complete privacy when entertaining if needed. Jefferson had designed his bed in the same manner as he noticed in France, when he was ambassador for 7 years. The bed was placed sideways in an alcove, which gave the room more space. It seems logical now, but in those days, no one was doing that except the French! Jefferson wrote many letters and in 1804, acquired a device called a “Polygraph” that could duplicate his letters while he wrote them. Invented by John Isaac Hawkins, the polygraph used the principles of the pantograph, a draftsman's tool for reducing and enlarging drawings. The writer's hand moves one pen whose action is duplicated by the second one, producing a copy strikingly like the original. Because of this device, we have copies of over 11,000 letters that Jefferson wrote! Jefferson was known for many things, but not many people know that he loved his vegetable garden. It still stands today, with many plants that grew when he was alive. 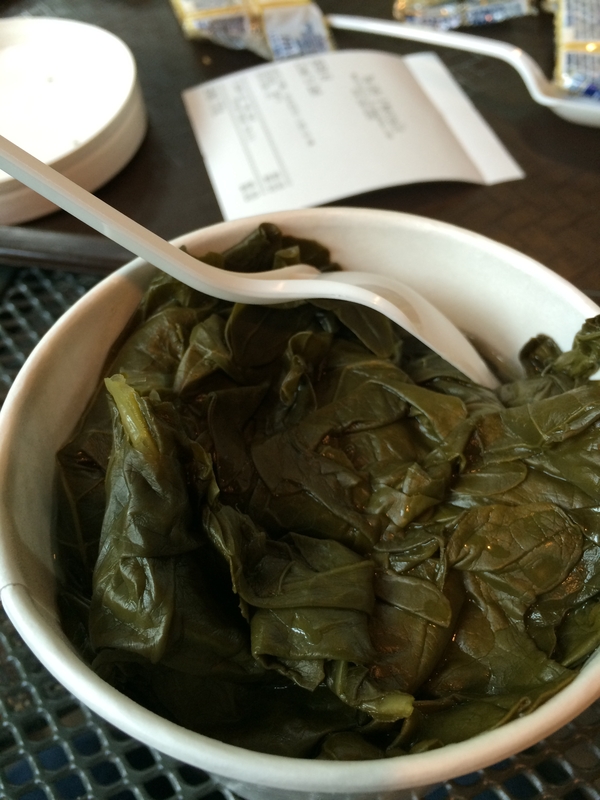 In the Monticello Café, I ate sautéed kale, from kale grown in his garden. 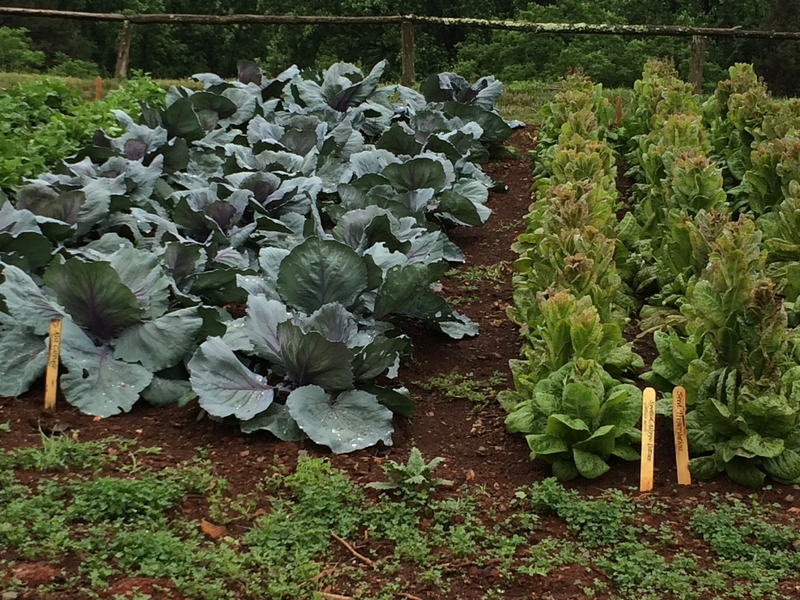 He grew many kinds of lettuce, peas, beans and strawberries. 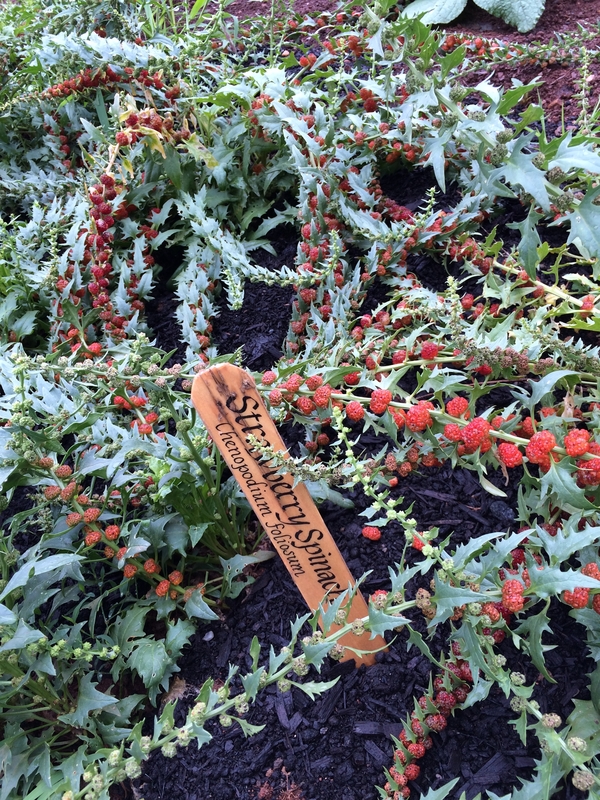 He also planted sesame seeds, which he used to make his own salad dressing! We toured the kitchen, stables and wine storeroom as well. While in France, Jefferson collected many kitchen utensils, which he brought back with him to Monticello. 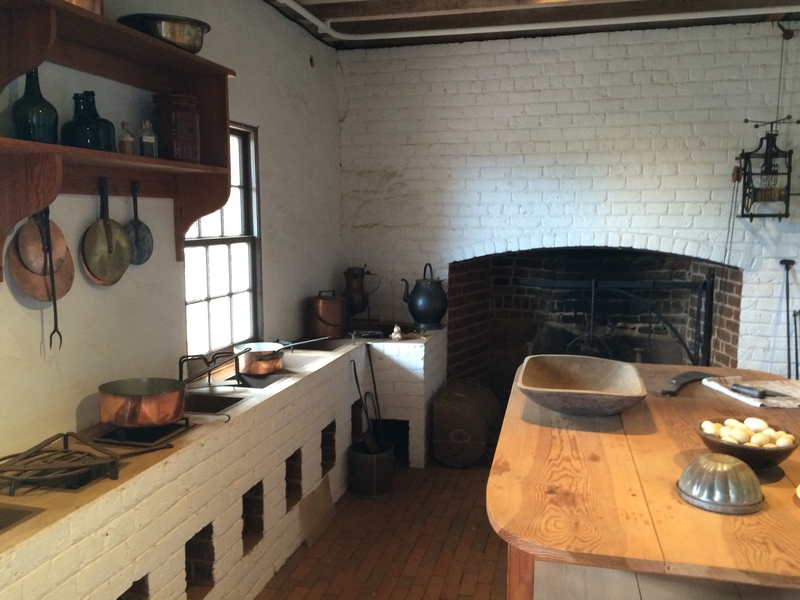 In 1809 and kitchen remodel was completed which included a bake oven, fireplace and stew stove. Jefferson is described as America’s “first distinguished viticulturist.” He believed the United States could “make as great a variety of wines as are made in Europe, not exactly of the same kinds, but doubtless as good.” His wine cellar was built directly beneath the dining room with bottle-sized dumbwaiters that rose into the cellar’s ceiling and into both sides of the mantelpiece in the dining room. My visit to Monticello taught me a lot about our 3rd President and founding father. As I walked around the grass, flowers and gardens, I could envision my main character, Buzzy, running around, chasing a stick, lounging under a cherry tree and playing in the snow. I hope you’ll love my new book and share it with friends and family. 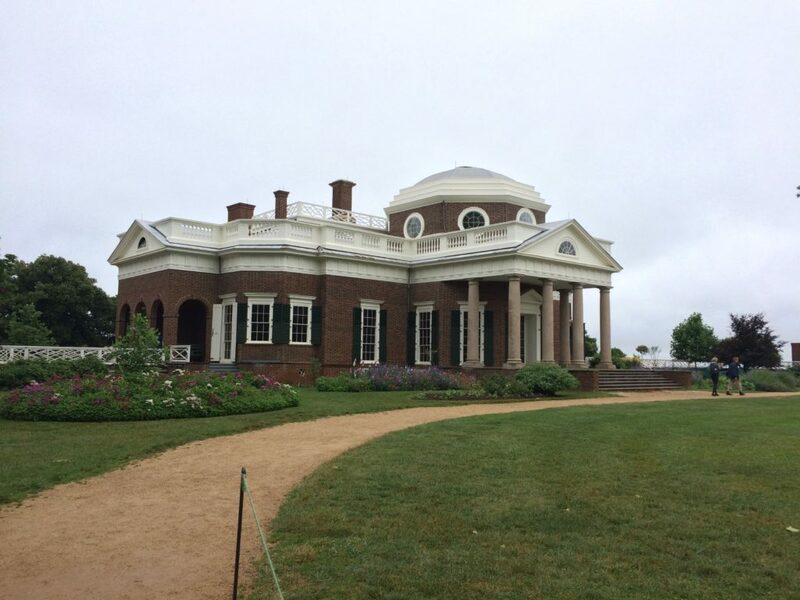 And if you’re ever near Richmond, Virginia, stop and visit Buzzy and Thomas’ home, Monticello. “Ben and Me” is about Benjamin Franklin as told by his mouse, Amos. He starts the book explaining that Amos's manuscript came to him by an “architect friend.” The friend had been working on an old home in Philadelphia and discovered a tiny room “beneath a bedroom hearthstone.” The room contained “small articles of furniture, all of the Colonial Period,” and in the desk was a”manuscript book, the leaves of which, about the size of postage stamps, were covered with minute writing.” Such a cute idea for telling the story of a famous person through the eyes of an animal! Lawson details the story of the mouse, Amos, his childhood, parents and many siblings and how Amos found his way to Benjamin Franklin's home. Of course the mouse could talk and would freely give Ben advice every day. Mr Franklin was very accomplished and Lawson describes these accomplishments in separate chapters. Amos claimed many of Ben's inventions as his own idea and made fun of the fact that Ben thought that he had discovered them! 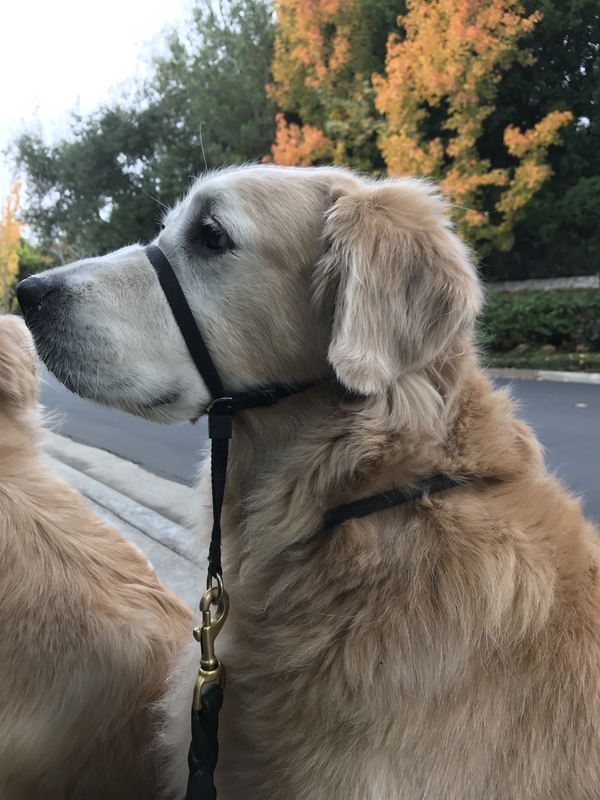 Benjamin wouldn't travel without Amos, so he joined him in France. He hid in a special cozy “nest” in Ben's hat, making it very easy to whisper in his ear! Amos met a “royal” mouse who had been exiled from the castle. She implored him to help her return to her family and Amos couldn't resist. A revolution amongst the French mouse population was born! This book is perfect for children aged 6-9 who can read by themselves or with help from an adult. To buy the book, click on the Amazon link. I am giving away my hardback copy of the book. 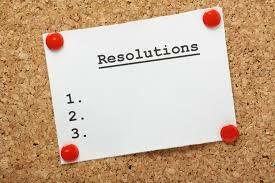 If you would like to be entered into the contest, please leave me a comment describing your favorite childhood book.